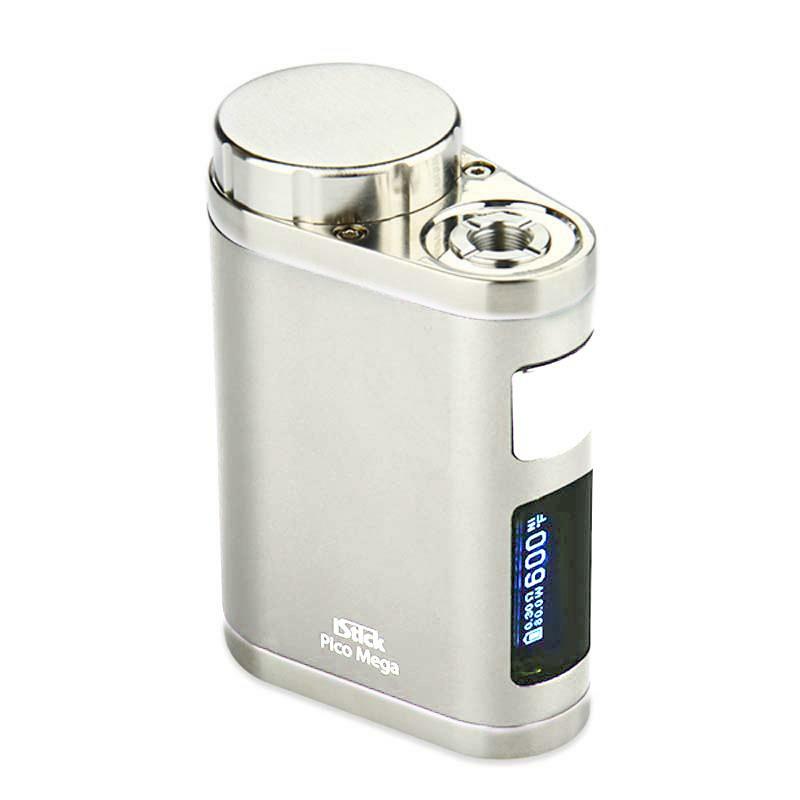 Eleaf iStick Pico Mega TC Box MOD powered by maxim output 80W. It supports 26650 cell or 18650 cell, which will bring you different vaping experience. It will be suit for Melo 3 Atomizer. Here are 5 colors available. Eleaf iStick Pico Mega TC Box MOD is a new design for Pico device, which is powered by maxim output 80W. This Pico Mega TC Box MOD will be match with many kinds of modes, such as Smart/VW/Bypass/TC(Ni,Ti,SS,TCR-M1,M2,M3) mode, and those multiple modes will bring you different vaping experience. You can press the up or down button to switch these modes. It supports 26650 cell or 18650 cell, and different battery wattage will give you different output. To get higher output power 80W, you can use 26650 cell; but with 18650 cell, the maxim output power is 75W. What’s more, you can match it with Melo 3 Atomizer, then you will get a perfect Pico Mega TC Kit, which is no doubt a good choice for vapor lover. Enjoy this beautiful MOD, you can select a nice color from 5 color options. • It doesn't come with 18650 lithium-battery or 26650 battery. • With a 18650 battery, the max output power is 75W; Max ouput power can be 80W only when 26650 battery is high rate (continuous discharge current should be above 35A). 28usd for a istick pico mega, worth the money! iStick pico works flawlessly with my tank. Massive clouds and tasty flavor. Especially cheap price is what I like most lol. Eleaf istick pico mega, very well made mod and nice looking. My girlfriend loves it so much. I like the battery door, no rattle at all. TC mod works great. I'm pleased with this purchase. Would buy more here.